During the third quarter, Tesla produced a total of 80,142 electric cars, 50% more than the company’s prior all-time high in Q2 2018. Tesla produced 53,239 Model 3, as well as 26,903 Model S and X vehicles. Deliveries for Q3 totaled 83,500 vehicles, comprised of 55,840 Model 3, as well as 14,470 Model S, and 13,190 Model X. With these figures, Tesla’s Q3 deliveries alone corresponds to 80% of the company’s entire deliveries last year. The electric car maker also delivered about twice as many Model 3 in the third quarter as all previous quarters combined. Tesla also had 8,048 Model 3and 3,776 Model S and X in transit to customers at the end of Q3. These vehicles are expected to be delivered in early Q4 2018. The company’s target of delivering 100,000 Model S and X in 2018 remains unchanged. The third quarter saw Tesla transition from its self-imposed “production hell” and well into what Elon Musk describes as “delivery logistics hell.” Even before the Q3 results were released, expectations from Wall Street analysts already pointed to the electric car maker hitting its target of producing and delivering 50,000-55,000 Model 3 in the quarter. Even Goldman Sachs analyst David Tamberrino, who has long been a Tesla skeptic, released a note stating that he expects the company to achieve its Q3 production and delivery targets. The past quarter has not been blemish-free for Tesla. During Q3, the electric car maker’s shares in the stock market experienced several drops, the most notable of which was a steep dive last week after the Securities and Exchange Commission announced that it has filed a lawsuit against Elon Musk over his “funding secured” tweet last August. Musk and the SEC reached a settlement for the lawsuit this past Saturday, and by Monday’s close, TSLA stock recovered the losses it incurred from the previous week’s drop. It should be noted that Tesla’s record Q3 2018 numbers were achieved through a remarkable team effort that started from the company’s executives all the way to owners of the electric cars themselves. As Tesla faced challenges with its “delivery logistics hell” at the end of Q3, some Tesla owners volunteered to help out the company by conducting orientations for newcomers. Over the last two weekends of Q3, Tesla’s volunteer-boosted delivery initiative ultimately helped the company achieve its record delivery figures. Anecdotes from electric car owners also indicated that even executives like Elon Musk helped out in deliveries as well. Tesla is set to tackle even more ambitious targets in Q4. Tesla’s Model 3 production ramp, which is now hitting its stride, is expected to continue until the company hits a steady pace of producing 10,000 Model 3 per week. Preparations for the initial production of the $35,000 Standard trim Model 3, which is expected to enter production early next year, are also expected to continue. 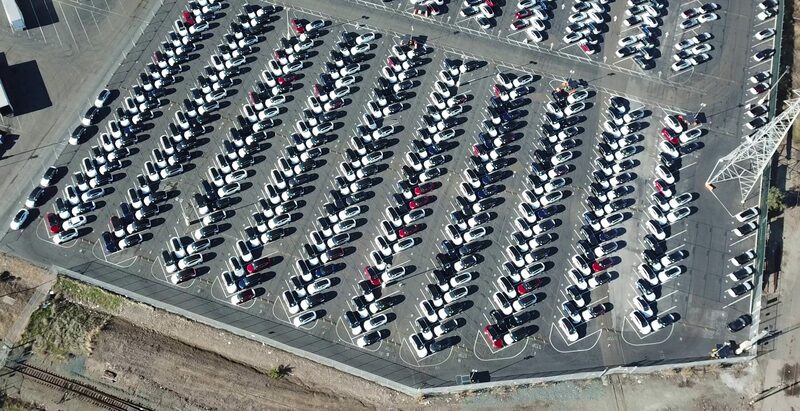 Tesla’s production and delivery report for Q2 2018 can be accessed below. Tesla’s Q3 2018 vehicle deliveries and production report can be accessed here.